Yes, you can still get your gifts on time. If you're not quite done with your holiday shopping, you're not alone. In fact, according to RetailMeNot, almost half (46 percent) of Americans usually get their holiday shopping done during the week before Christmas — or later! If you're starting to get that slightly panicked feeling as you realized you have quite a few more gifts to buy, don't worry. 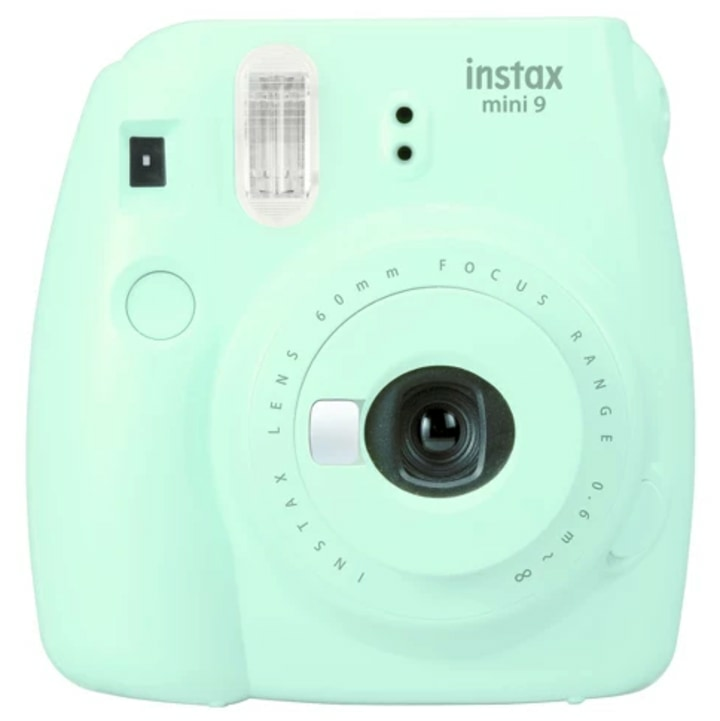 We've rounded up some of the most fun and affordable last-minute holiday gifts from sites that can still have everything delivered before Christmas, including Amazon, Nordstrom, Anthropologie, Old Navy and more. 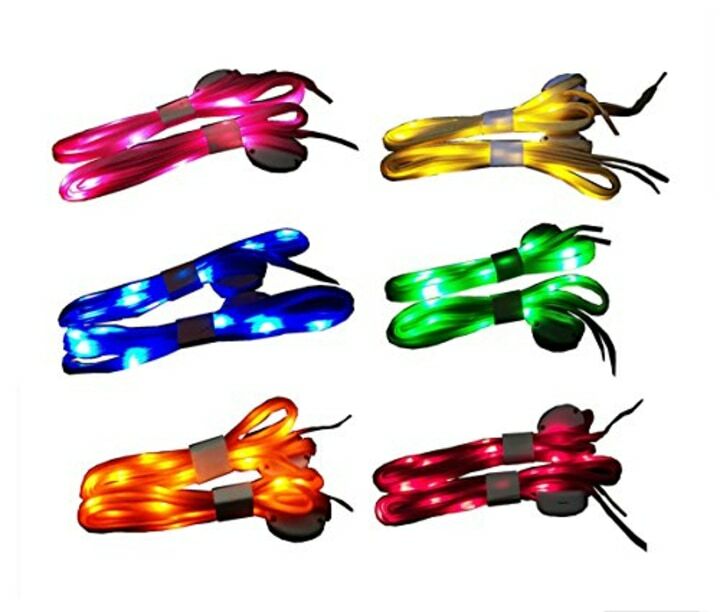 These light-up shoelaces give new meaning to the phrase "fancy footwork." 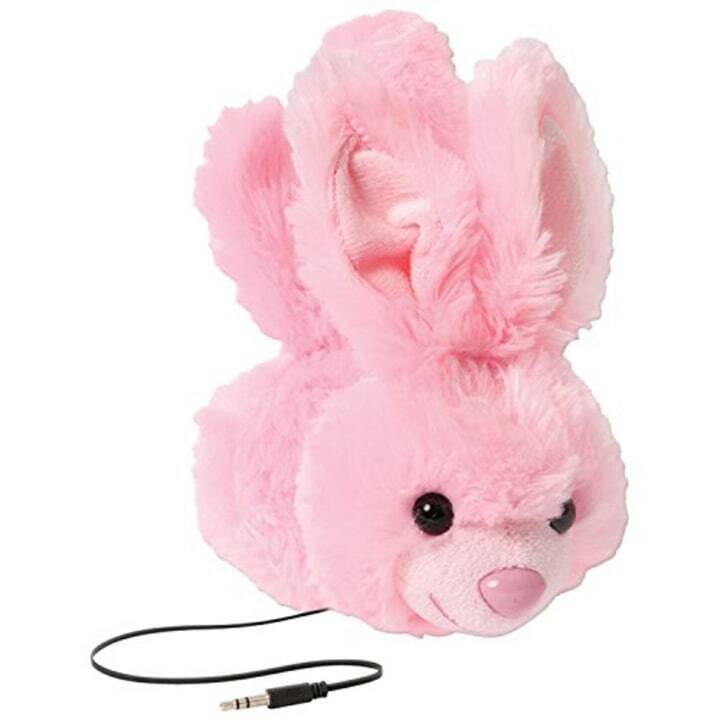 They might look like something out of "A Christmas Story," but these furry critters actually camouflage a great pair of headphones! 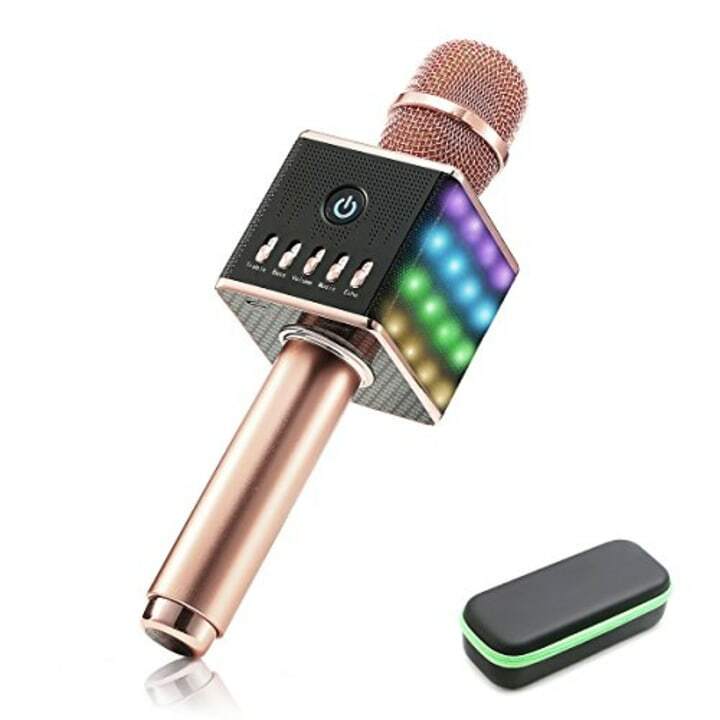 The little ones will be singing their hearts out with this Bluetooth karaoke microphone. It's so fun, the adults might want to get in on the action, too! 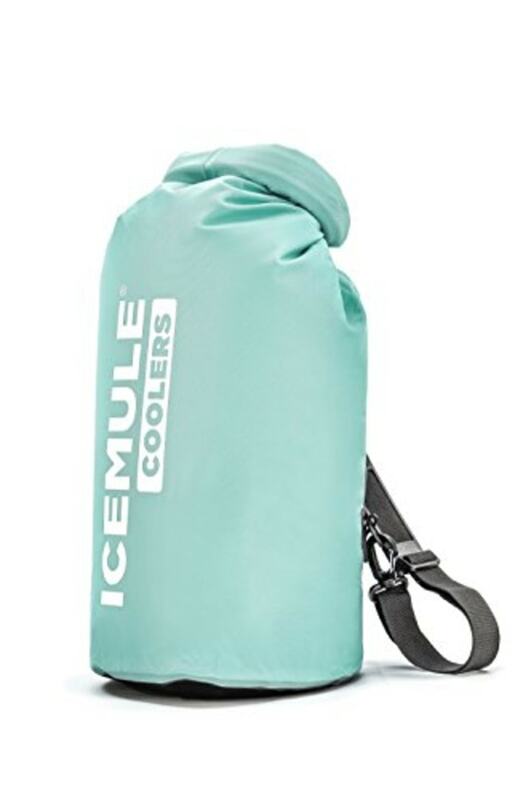 This clever cooler carries all your beverage needs in one easy pack. 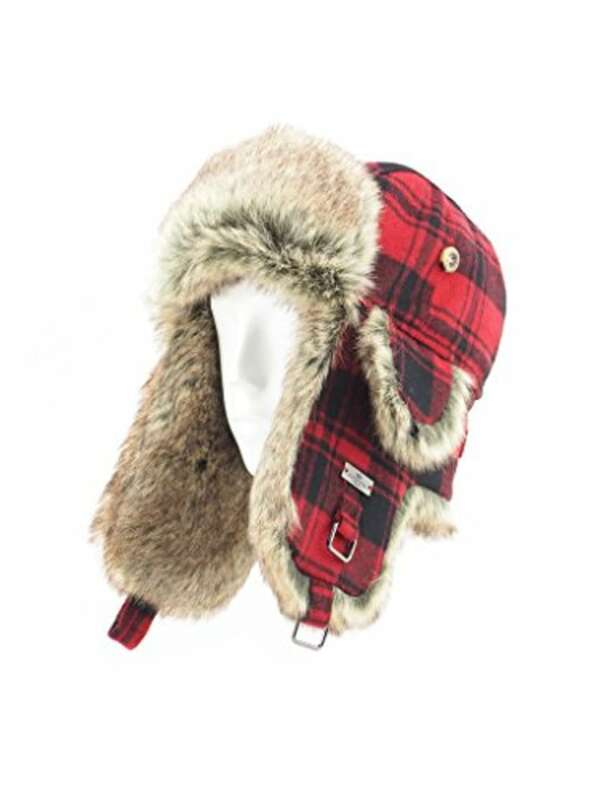 If chilly temperatures are in the forecast for your neck of the woods, this fuzzy hat will come in handy. Art of Sport, a new men's skin care brand co-founded by Kobe Bryant, is designed to keep even the toughest athletes looking smooth. 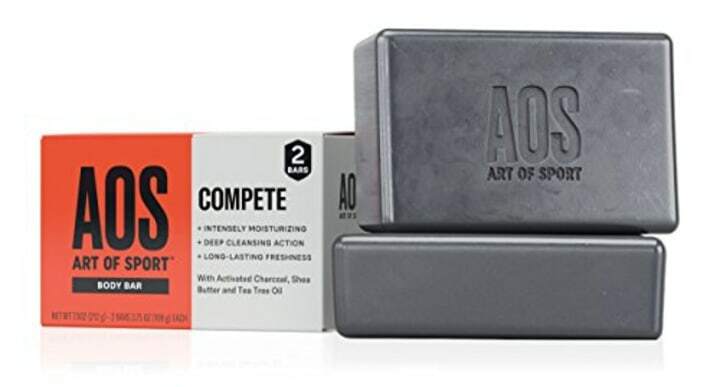 This body bar includes deep cleaning charcoal and citrus and pear scents. 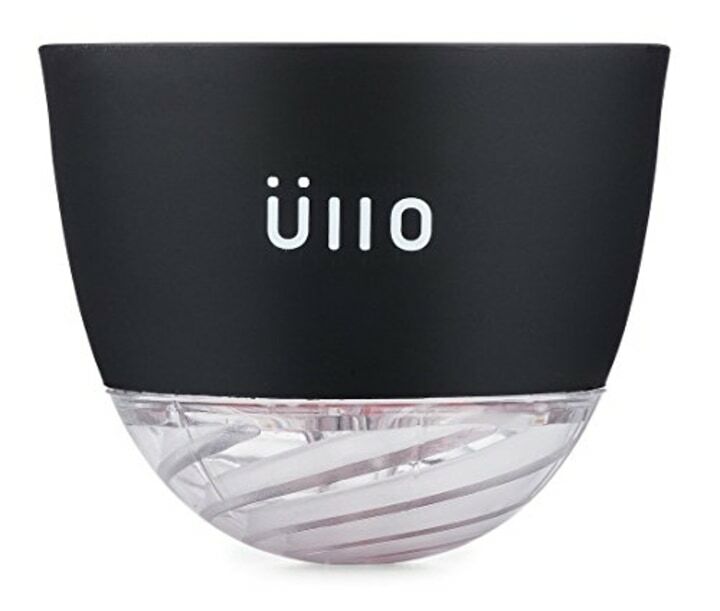 This re-usable wine filter removes sulfites and sediments before the first sip. 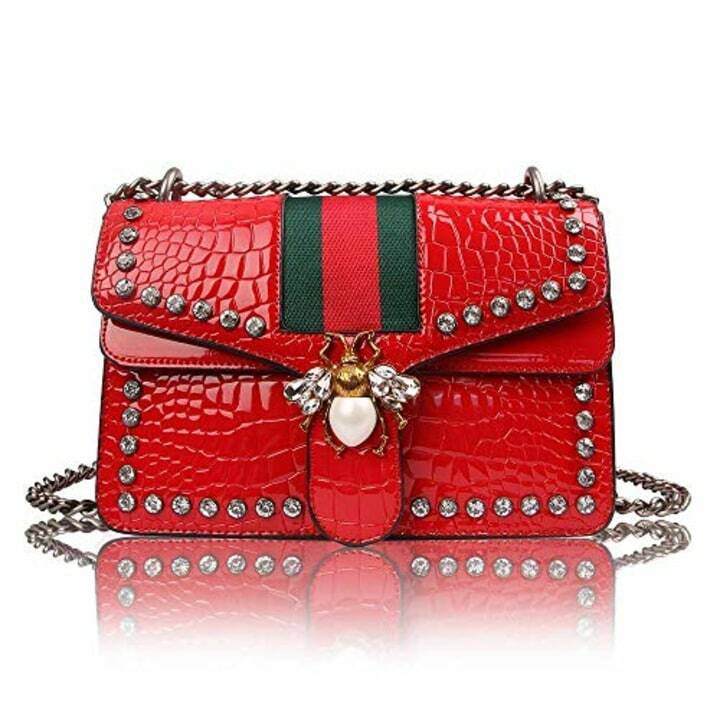 This red and green embellished purse is the perfect festive accessory to leave under the tree. Believe it or not, fanny packs are back. They're so popular that they even make up a 25 percent growth in accessory sales. 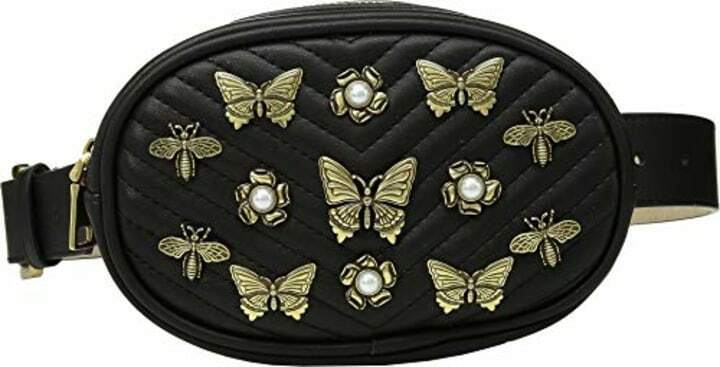 This pearl-adorned pick will be right on trend for the new year. 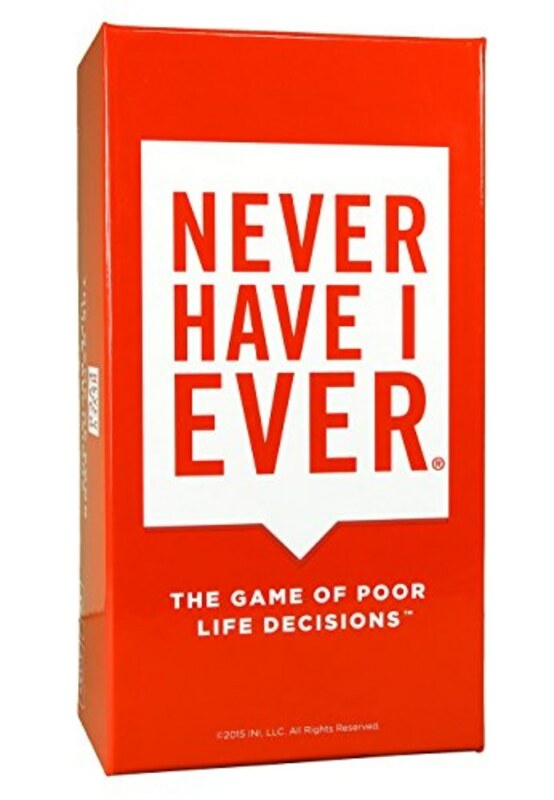 Get friends and family to spill secrets and have a big laugh at your holiday party with this playful game. 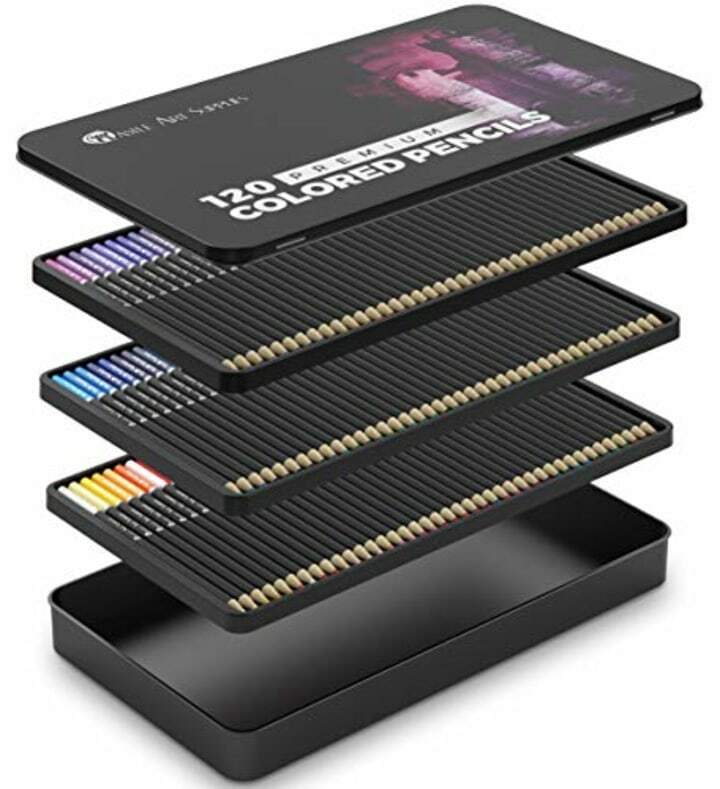 If you have an artist or "adult coloring book" fan on your list, treat them to this beautiful set of 120 colored pencils. 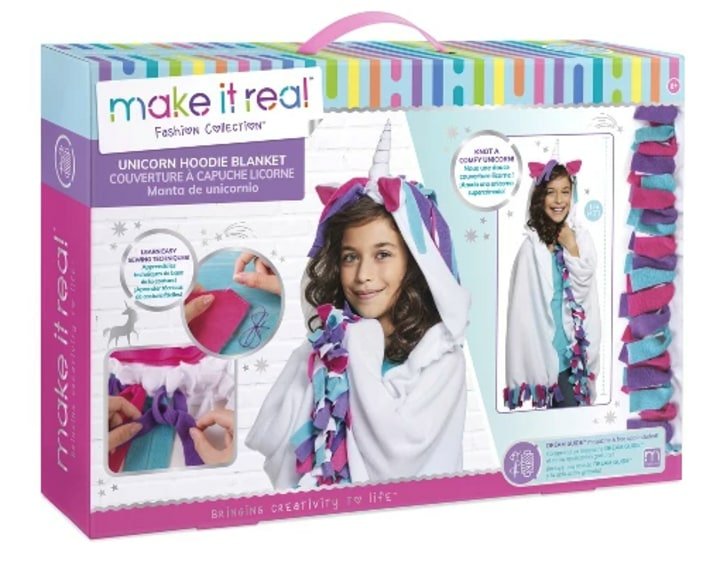 They make a great gift for the budding creative kids in your life, too. 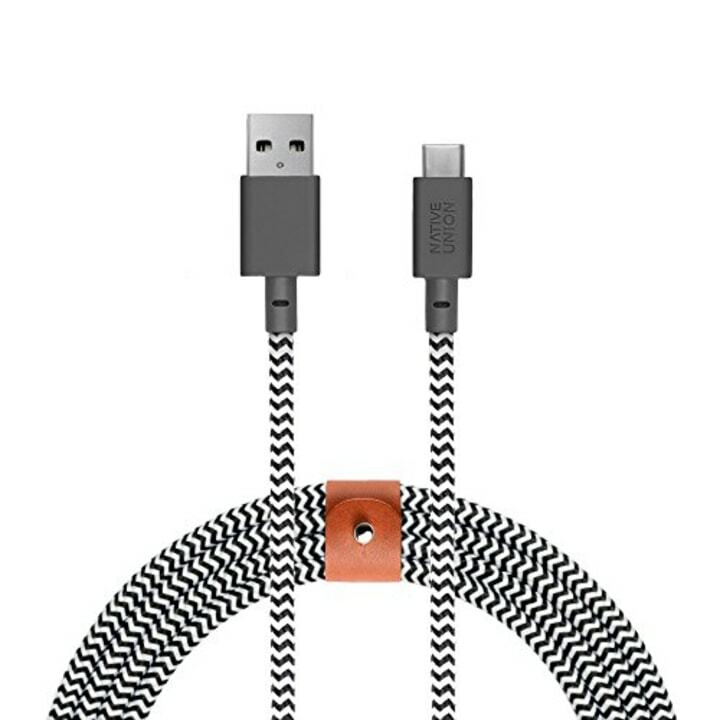 While it might not seem like a particularly glamorous gift, this extra-long charging cable makes a terrific stocking stuffer because it's so handy. Have a friend or family member who has been working hard to step up their home bar game? 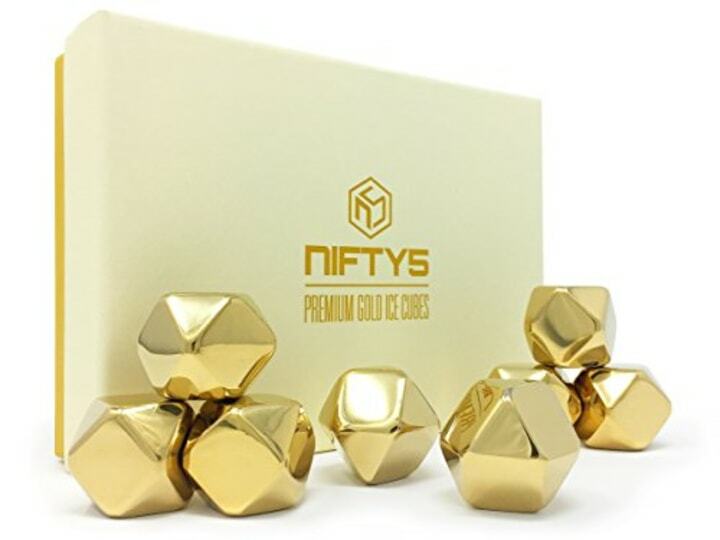 These gold whiskey stones are a festive stocking stuffer sure to glam up any cocktail hour. But first, homemade iced coffee! 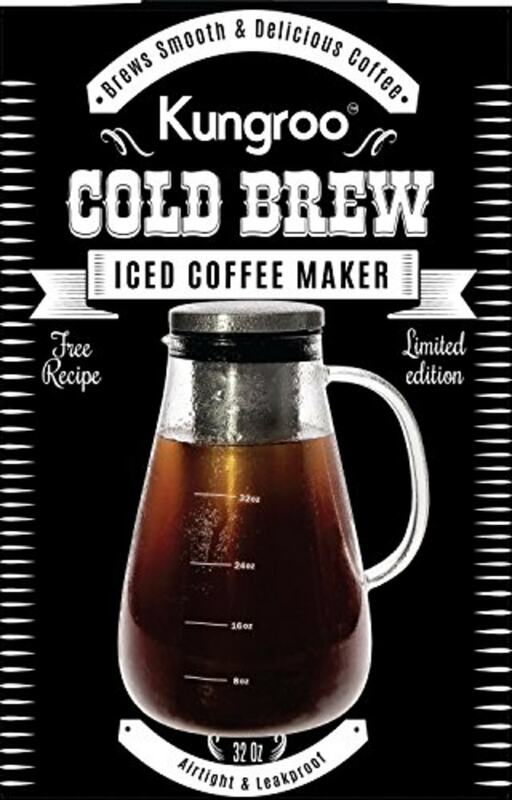 This brilliant device makes it easy to make a cold brew overnight in the refrigerator, saving precious dollars on your daily caffeine habit and allowing any coffee fan to work on recipes of their own. 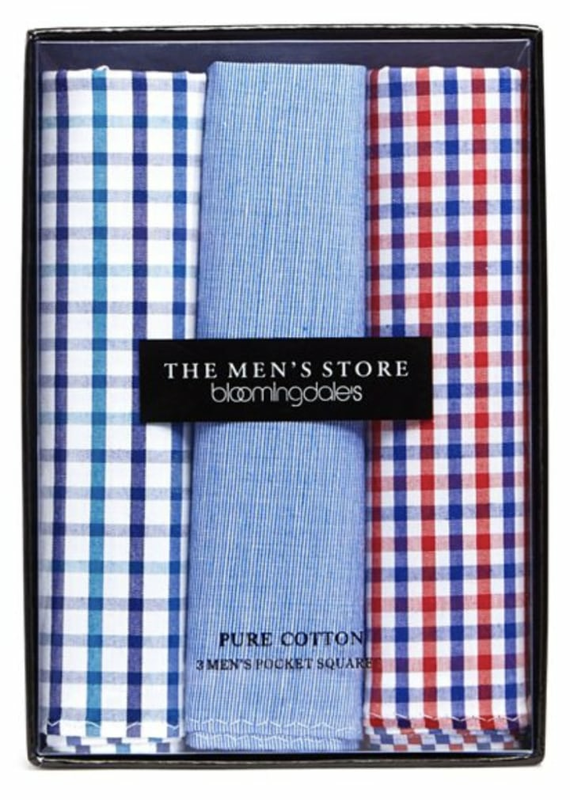 Bloomingdales is offering free standard shipping before 11:59 p.m. EST on Dec. 20. 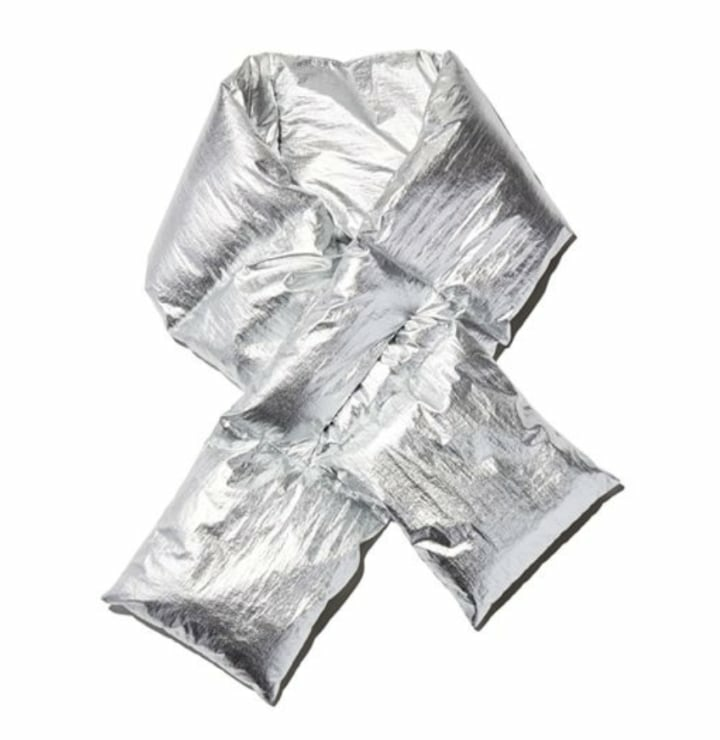 You've probably heard of a puffy coat, but what about a puffy scarf? This metallic option is an on-trend pick for the fashionista on your list. When it comes to earrings, three pairs are better than one! The lucky recipient will be able to swap out different shades to match her outfit. For the men, a pocket square is always a good option. It's exactly the kind of accessory he may not buy for himself, but it adds an extra dose of class to any suit. 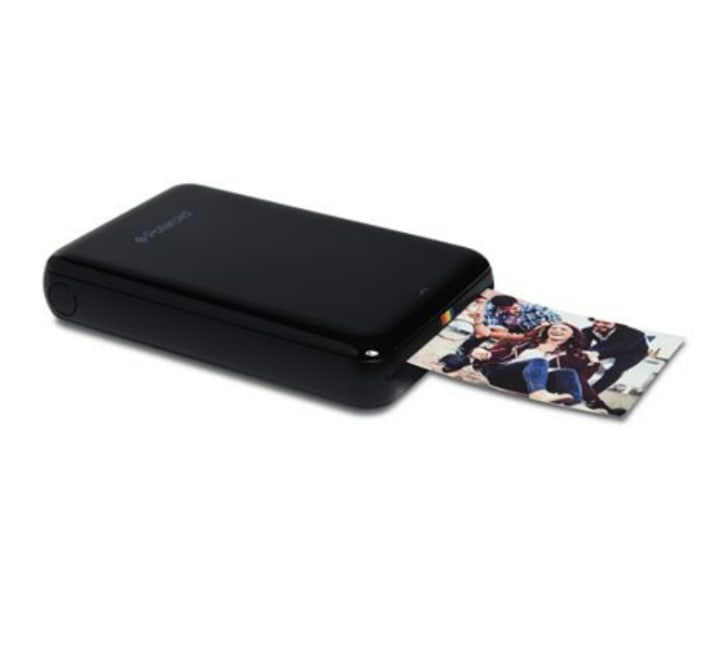 This photo printer will transform digital memories into permanent mementos. And don't forget the old school camera, too! 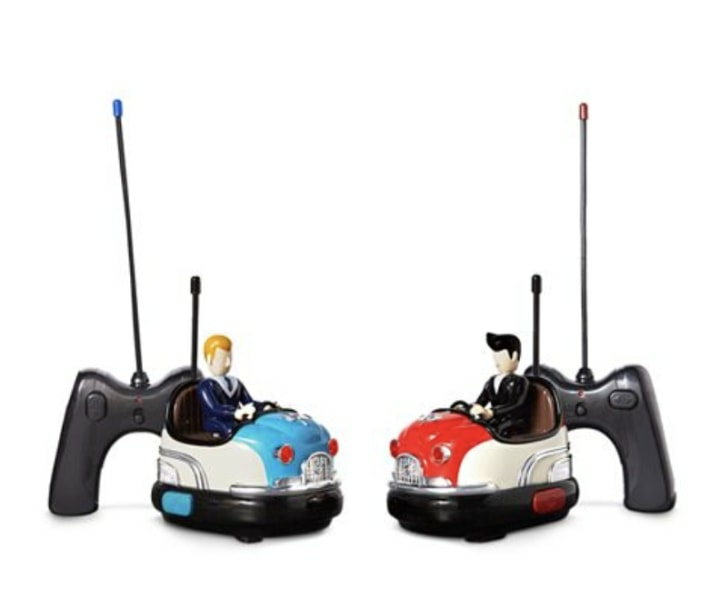 These classic remote control bumper cars are almost as fun as the real thing. Also available as a giant inflatable wiener dog. This oversized balloon animal would undoubtedly be a great surprise for any dog-lover. December 19th is the last day for free standard shipping on gift cards and qualifying merchandise if you order by noon ET, and your last day for next-business-day shipping is December 22 by noon ET. What's cuter than a kid in a tiny pair of slippers? 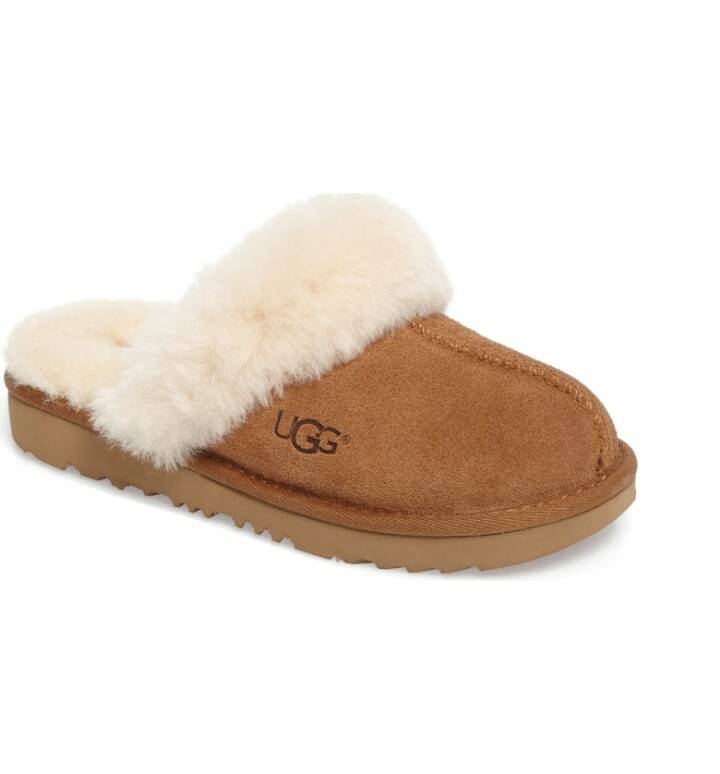 These classic scuff slippers from Ugg make a great gift for young boys or girls, and come in big, little and toddler sizes. 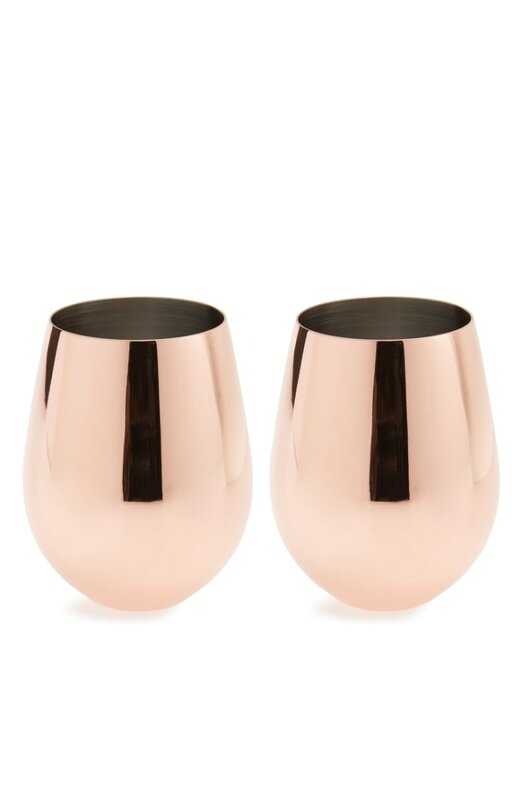 Perfect for indoors or out, these copper stemless wine glasses are lined with stainless steel, and make a great gift for campers, at-home entertainers or wine aficionados! 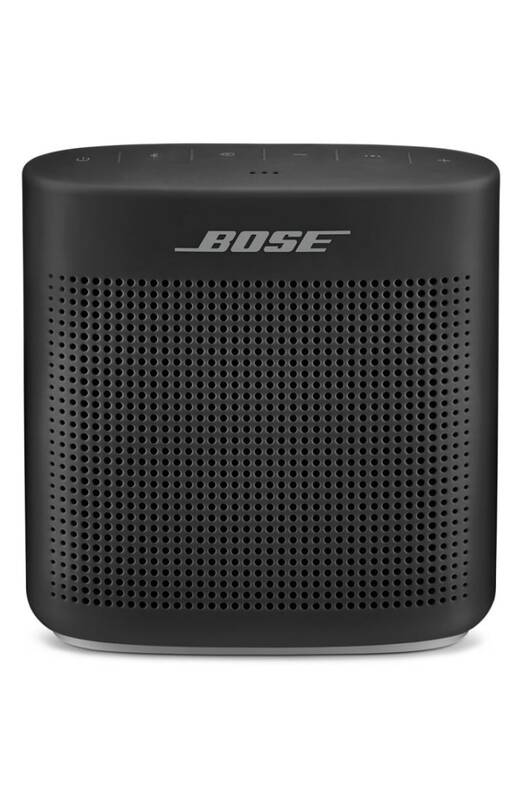 Whether they're throwing a party that requires the perfect holiday playlist or just love to listen to their favorite podcasts while getting ready in the morning, everyone can find a use for a powerful Bluetooth speaker. Last minute and luxe! Treat someone special in your life to this two-piece set that's ideal for travelers or a very special stocking stuffer. 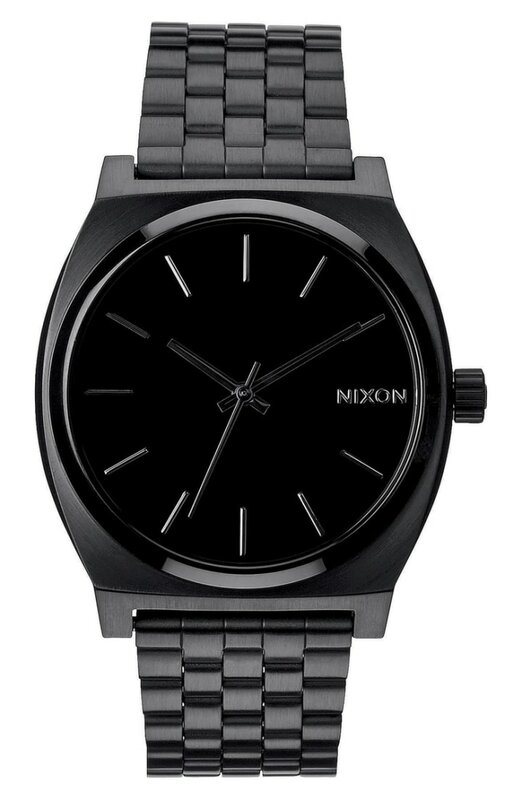 We love the low-key, black-on-black look of this Nixon watch. 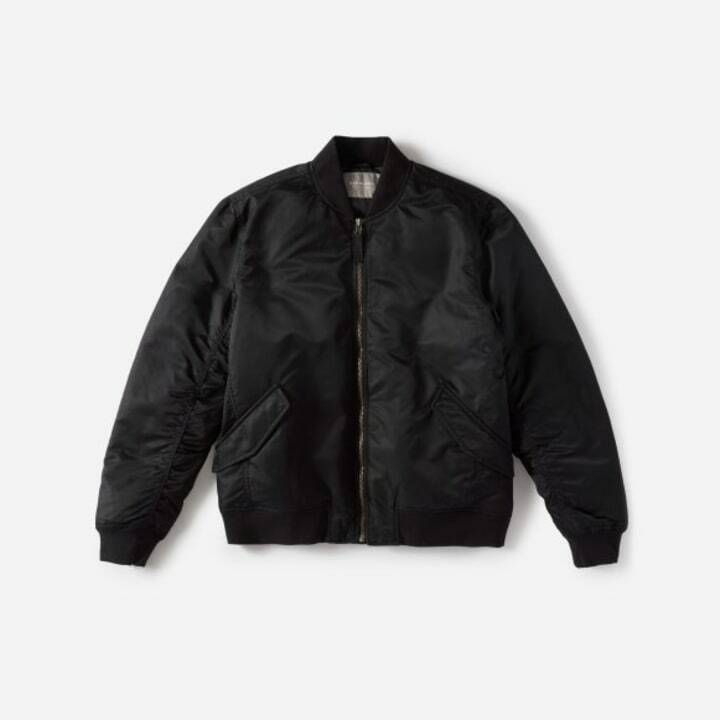 The heritage brand is offering free shipping on orders over $50 if they're placed before 12:00 p.m. EST on Dec. 21. 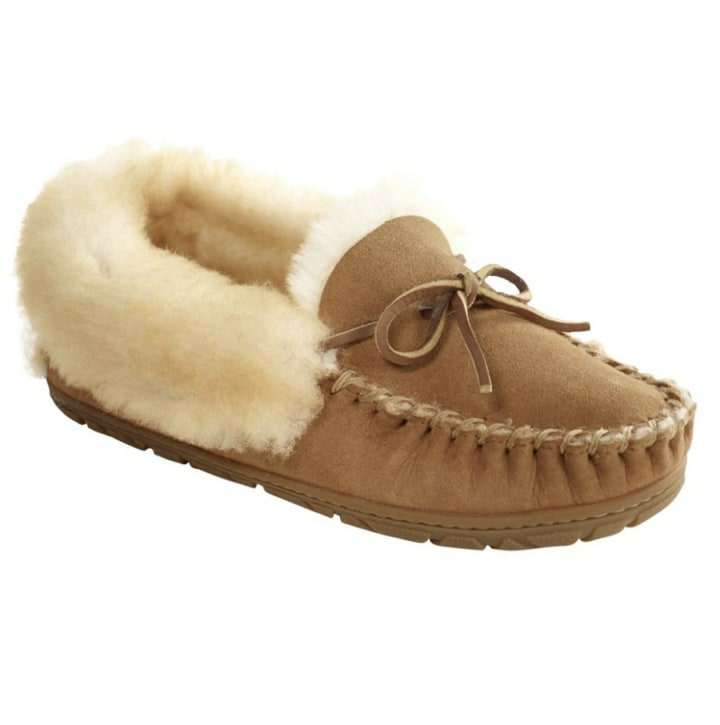 These classic slippers are really cozy and come in both kid and adult sizes. 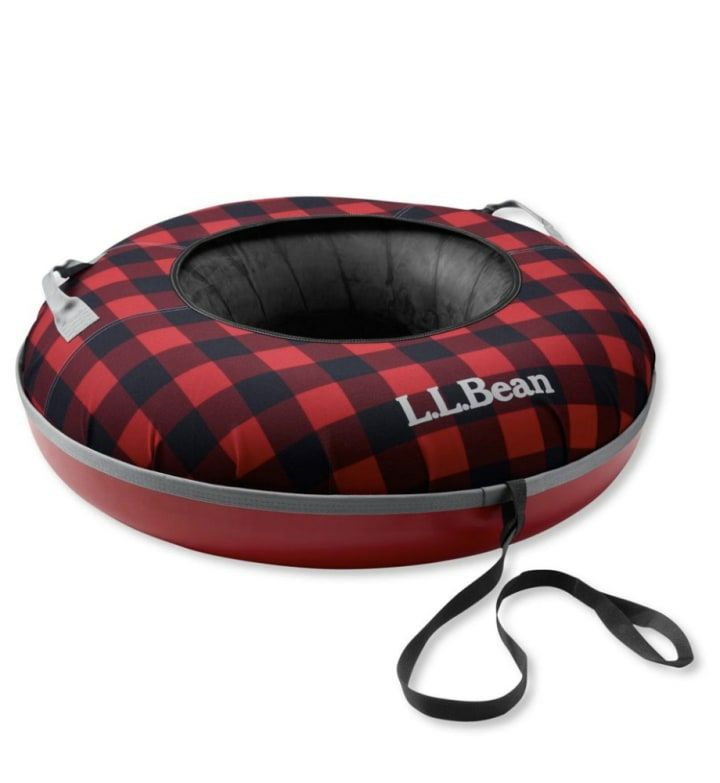 If a white Christmas is in the forecast, this snow tube will offer hours of enjoyment on snowy afternoons. Order by 8 p.m. EST on Dec. 20 for free 2-day shipping. 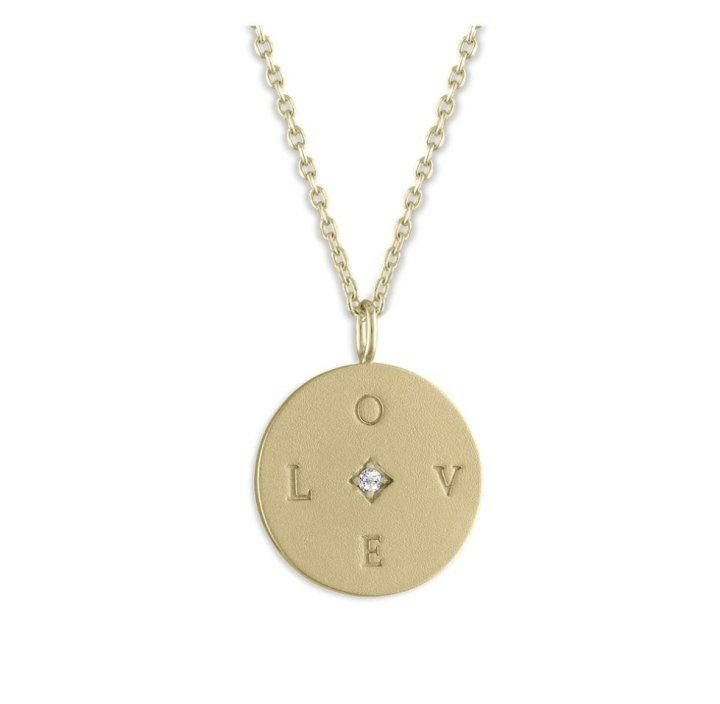 These gold medallion necklaces come with inspiring messages like "love" and "faith." Order by 3 p.m. EST on Dec. 20 for free 2-day shipping. 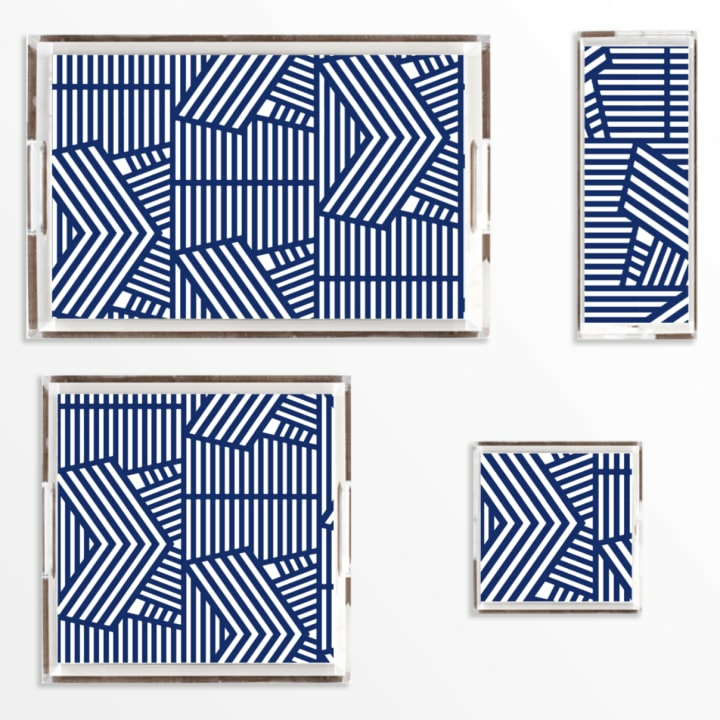 The brightly colored homewares from this brand make great gifts for any aspiring interior designer on your list. 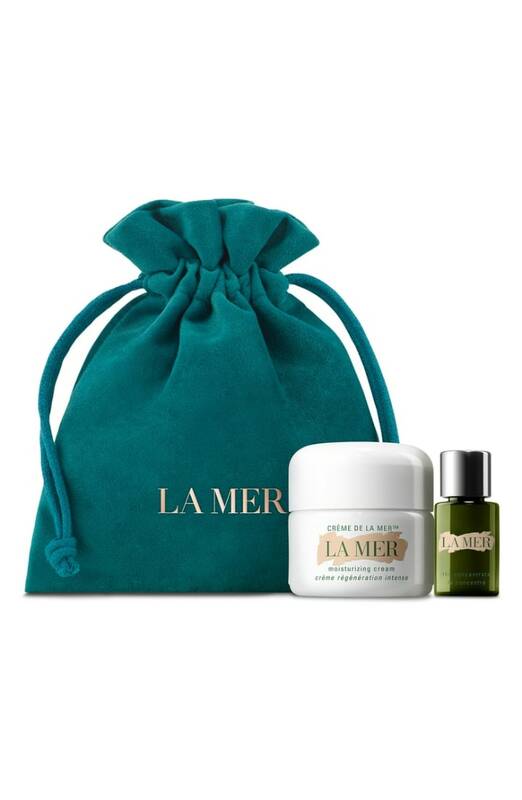 Order by 3 p.m. EST on Dec. 20 for free overnight delivery. This might be the sweetest gift of them all! 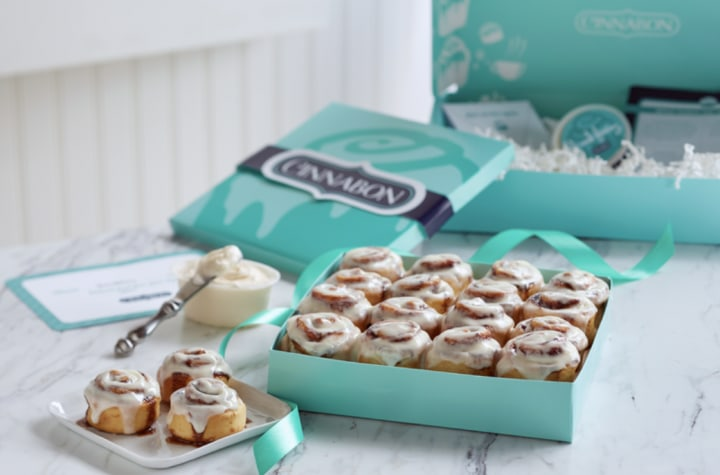 Deliver the gift of delicious cinnamon rolls or order some for your own Christmas morning festivities. Get free shipping on matte golf balls if you order by 3 p.m. EST on Dec. 20. 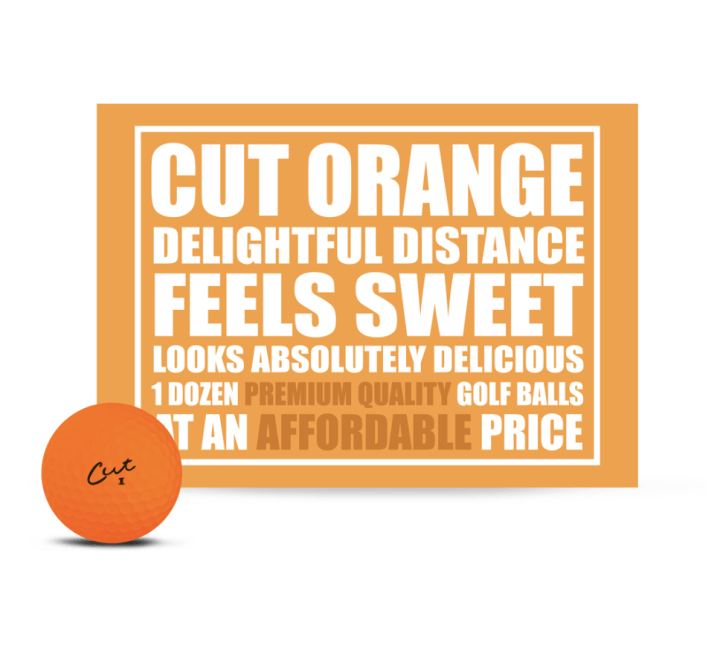 The sleek matte golf balls come in yellow, orange, pink and white. They make a great gift for any golfer on your list because you can never have too many golf balls! The last day to ship gifts from Old Navy is December 19, but they've launched a buy online and pick up in-store program for late shoppers. After the last day to ship, customers can still purchase a gift online and pick it up in a local Old Navy store to get it in time for the holidays. 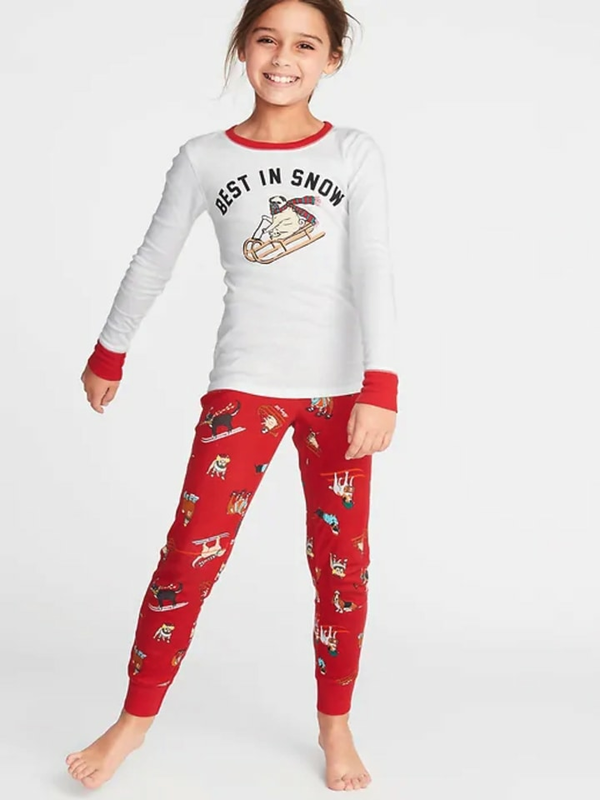 You can still get your family outfitted in cute holiday PJs — even if you're down to the wire. We love the variety of cozy cotton and flannel sets for kids adults and baby in fun and festive patterns. 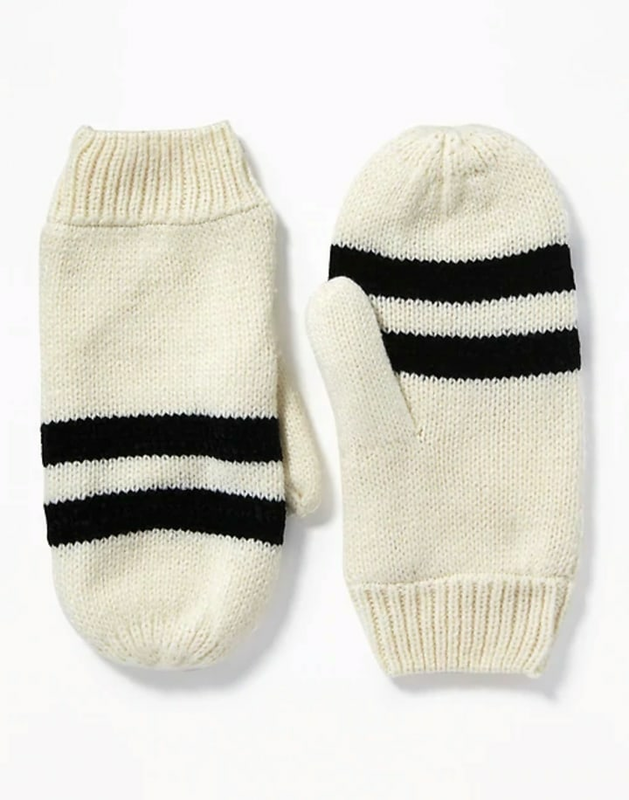 Everyone loves a cozy pair of mittens, and these Fair Isle knit warmers from Old Navy will make a sweet last-minute gift. This is a perfect layering piece for winter. 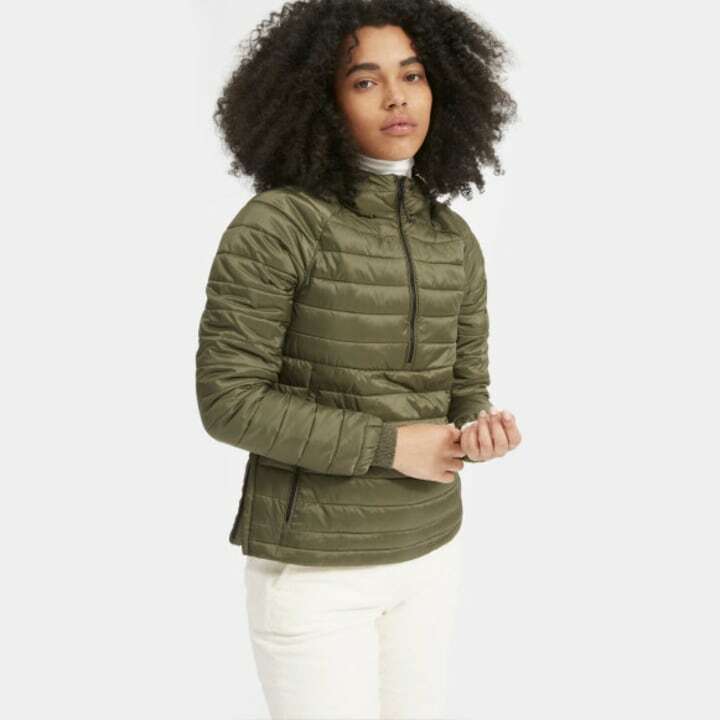 It's a warm fleece shirt, lined with soft taffeta that he can wear over his favorite t-shirts and under a warmer coat or on it's own. Genius! 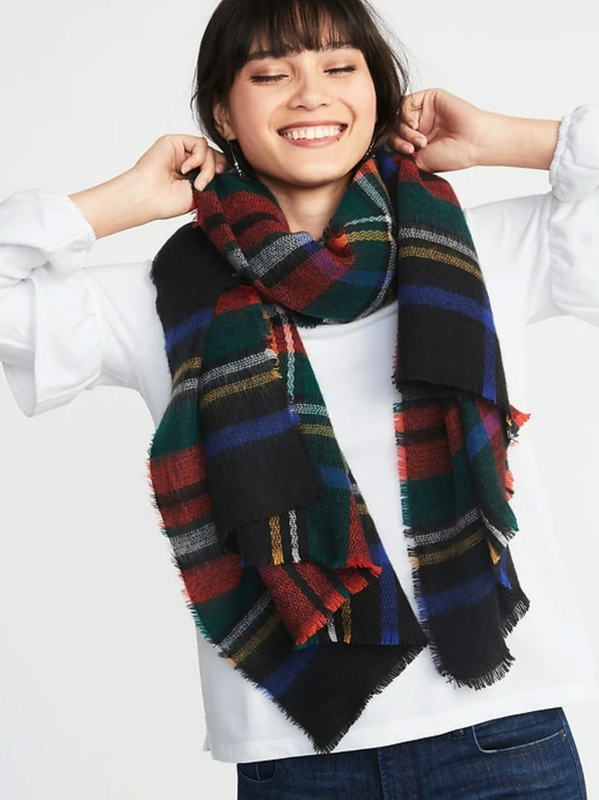 A big, cozy scarf in a festive plaid is a can't-miss gift, and we love that the range of scarves from Old Navy are super soft. 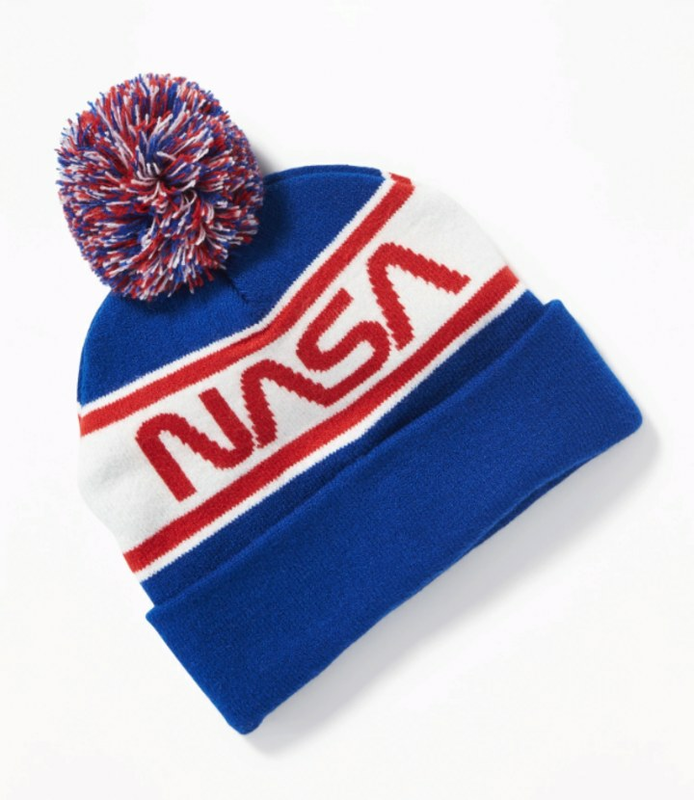 Science fanatics and trendy folks alike will appreciate the cool factor of this playful NASA beanie. Everlane is currently offering free two-day shipping (yay!) until 9 a.m. December 20. 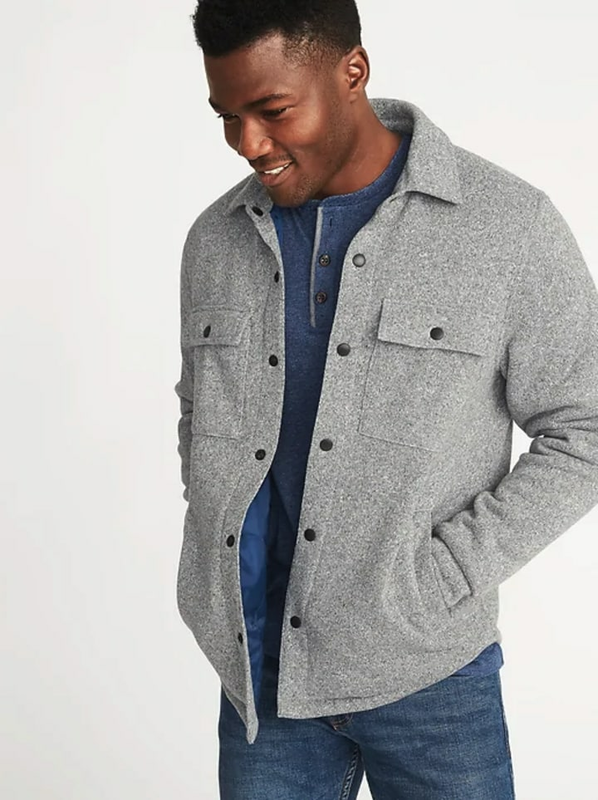 We're obsessed with Everlane's new ReNew collection — full of cozy fleeces and puffers that are made from almost entirely recycled material. 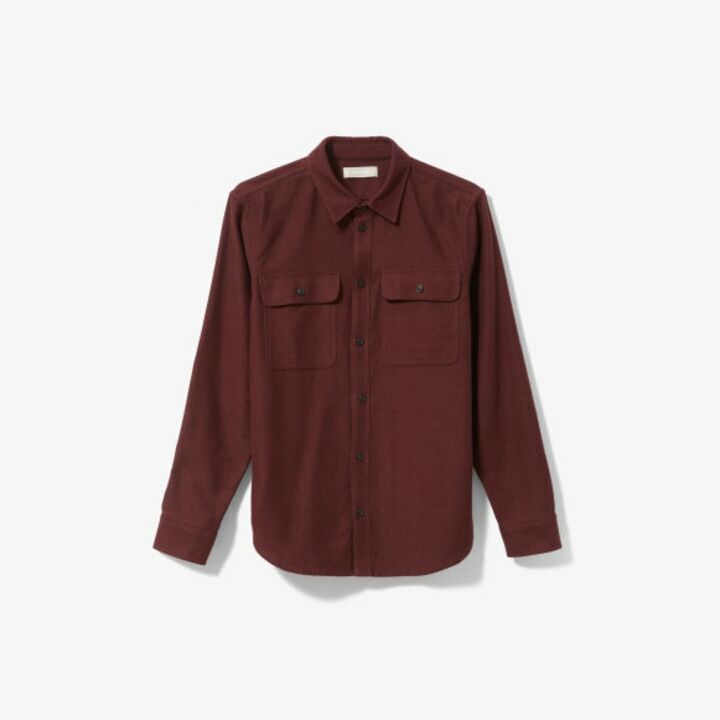 If you're shopping for a guy you know well (perhaps a boyfriend, husband or brother) and you know his size, then consider treating him to a stylish everyday shirt in a handsome shade of burgundy. Order by Dec. 20 for standard delivery before Christmas Eve and by 1 p.m. EST on Dec. 22 for express delivery before Christmas Eve. 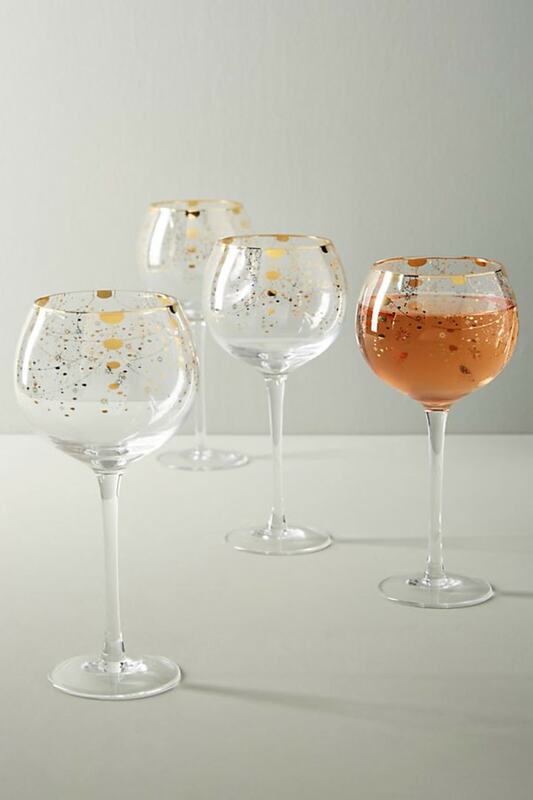 These pretty, gold-flecked glasses make an excellent gift for the woman on your list who loves to host... or simply enjoys making her own KLG and Hoda-approved Thirsty Thursday feel special. You know what they say... start 'em young! 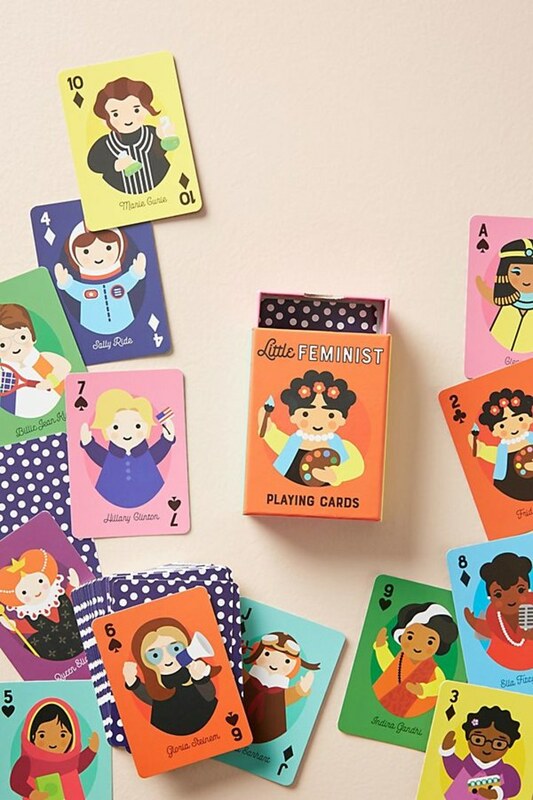 Teach your favorite kid about important females and feminists throughout history with these colorful playing cards. Who says a casual game of go fish can't be a teachable moment? To ensure every package makes it to its destination on time, Ann Taylor's giving a free shipping upgrade to every order placed between Dec. 12-20. Order before Dec. 21 at 3 a.m. EST for standard delivery before Dec. 24. 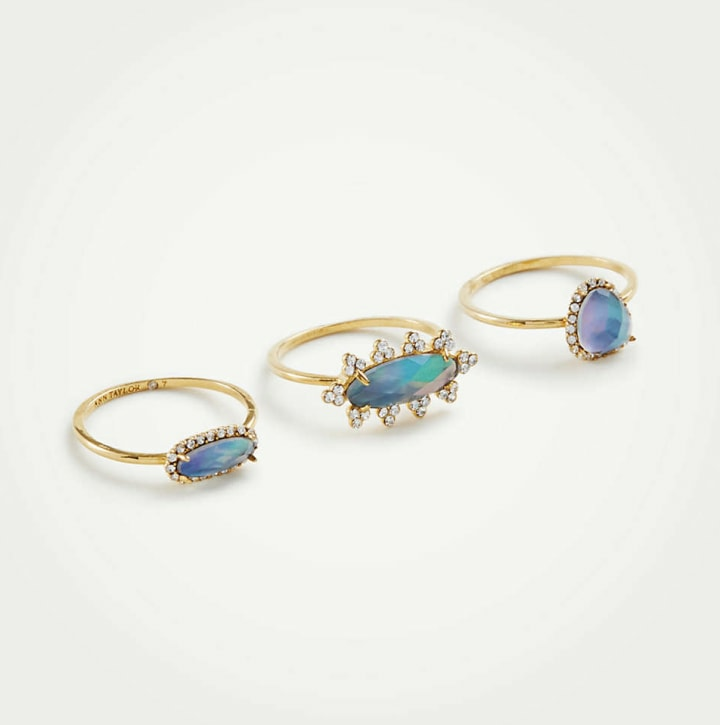 Treat a special gal in your life to three pretty little rings, all packaged up together in one gorgeous set. Wayfair offers free shipping for orders over $49. When you click on a product on their site, each one will give an estimated delivery date so you can see if it will arrive by Christmas. Most items should be ordered by Dec. 17 for standard shipping, but it varies. Their shipping information also states that you can pay extra for expedited one-day or two-day shipping. 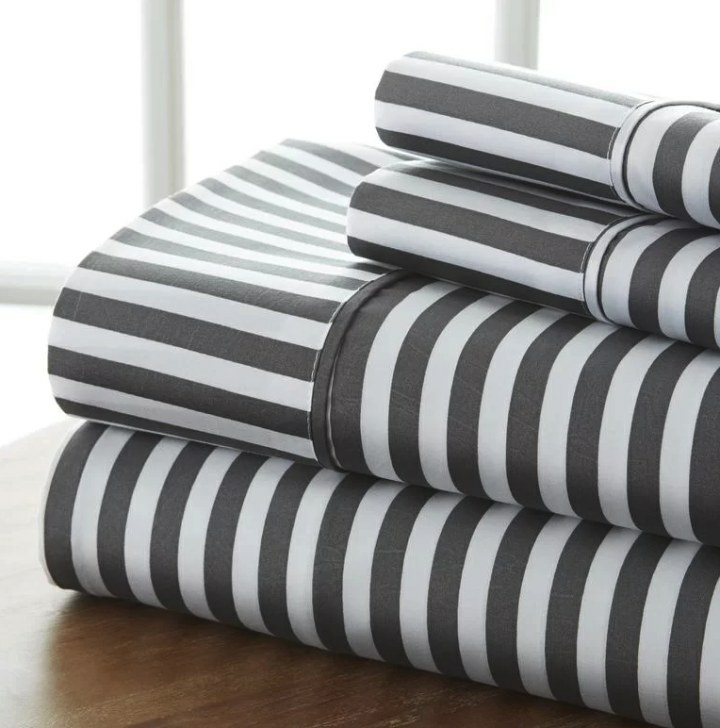 Everyone needs bed sheets and these ones are both chic and comfy. 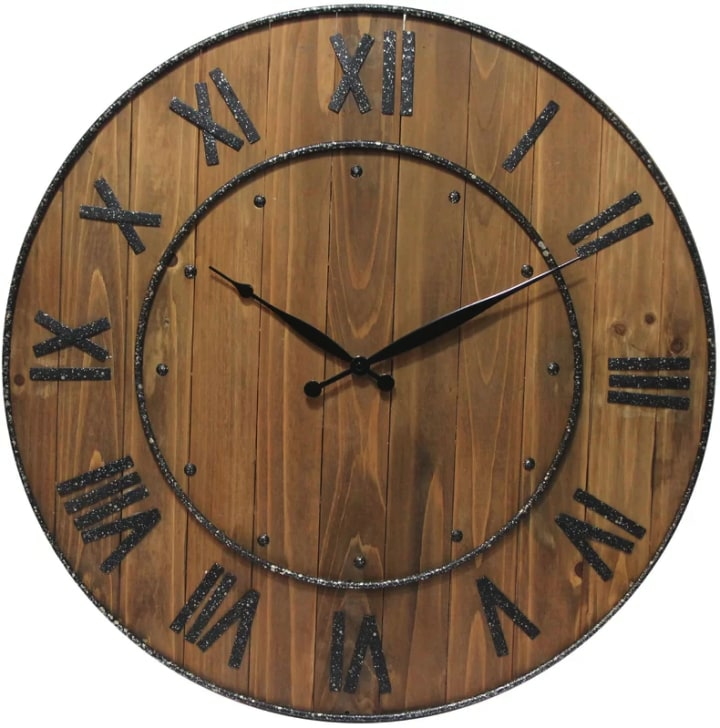 This vintage-style wood and metal wall clock would make a great gift for someone who loves interior design. It would look great in a walkway or above a fireplace. Walmart shoppers have until December 20 at 2 p.m. local time to order for a delivery by Christmas Eve. They are also offering free two-day shopping on a wide variety products. 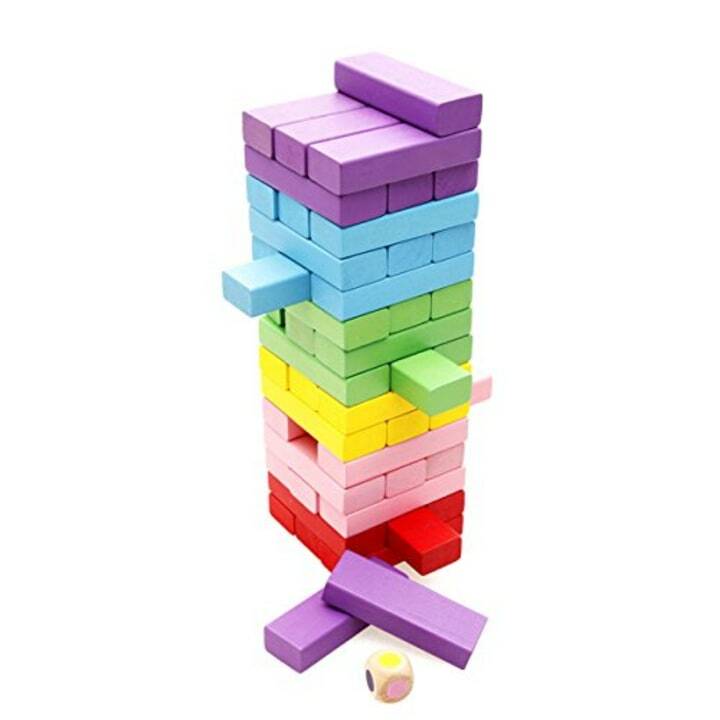 This popular children's toy is packed full with over 60 surprises for kids to unbox and play with. 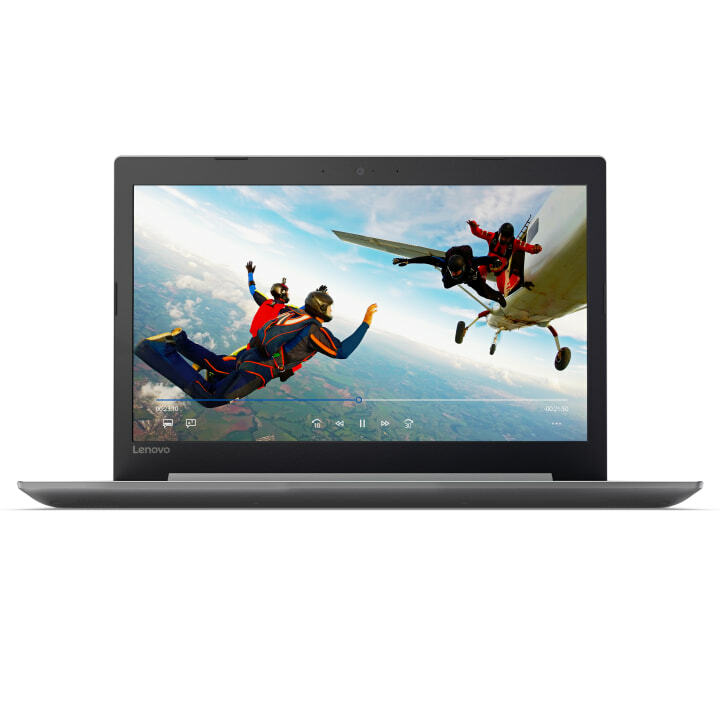 If you've been looking for a good laptop deal then here you go! This computer features a protective finish and plenty of memory. These controllers will take gaming to a whole new level for anyone who already loves to play Nintendo Switch. 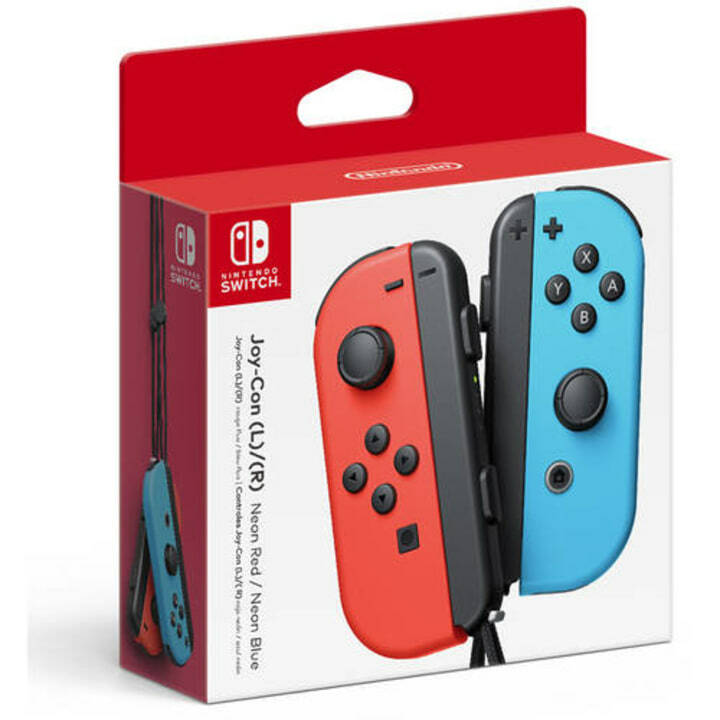 Target is currently offering free two-day shipping! And, if you place your order by Dec. 20 at 11:55 p.m. CST, then it's guaranteed to make it to your doorstep by Christmas. This fun craft for kids is easy and cute. They'll feel so accomplished when they wear it around the house. 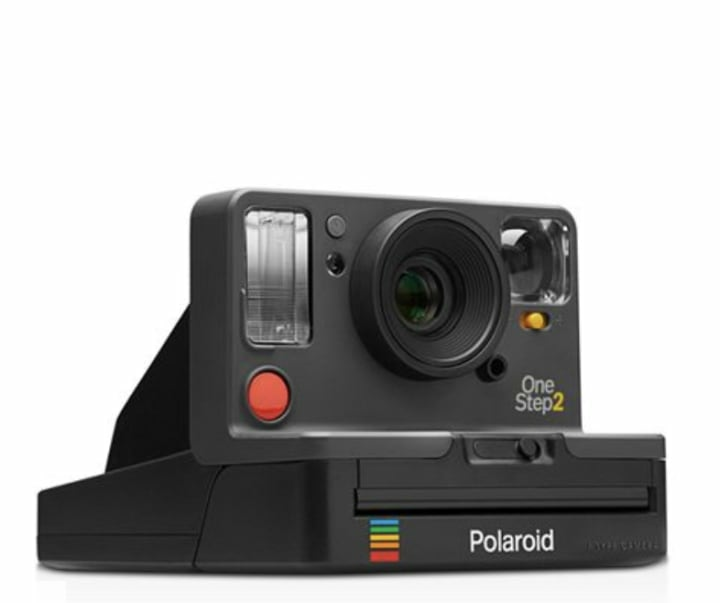 This polaroid camera is great for saving memories! It's a really good gift for teens or young adults — they can capture fun times with friends and then hang the mini photos around their room. 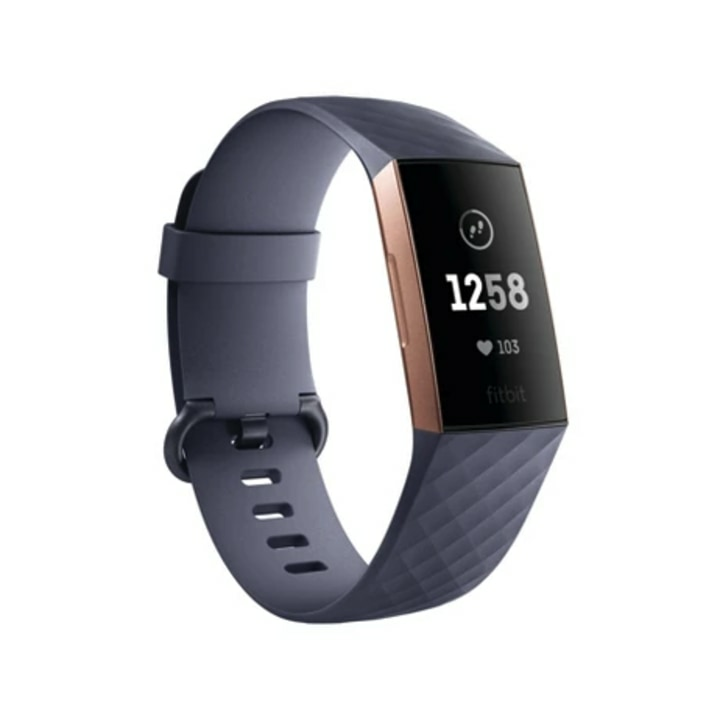 This Fitbit has a very stylish look to it and it also keeps track of your heart rate, exercise, sleep and more. It's an awesome gift idea for someone who is into fitness. Greats will have two-day shipping available until December 18th and you can still get items shipped overnight to arrive by Christmas if you place your order by December 20th. It can be challenging to find a stylish pair of women's sneakers, but these stylish perforated kicks from Greats fit the bill. Best of all, the lightweight, durable knit can be easily washed with a little soap and water. 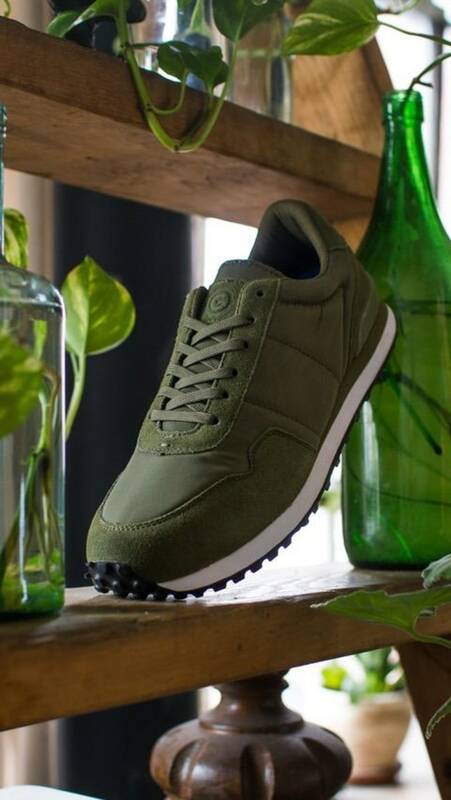 These nylon-and-suede men's sneakers are a riff on retro running shoes, and we love the monochromatic look. This olive green color is more versatile than you think — it works with jeans and chinos and any of the neutrals in his closet. Plus, you can't beat $55 for this level of quality. Order by 11 a.m. PST on Dec. 21 to ensure that your items arrive by Christmas. They're also offering free shipping! 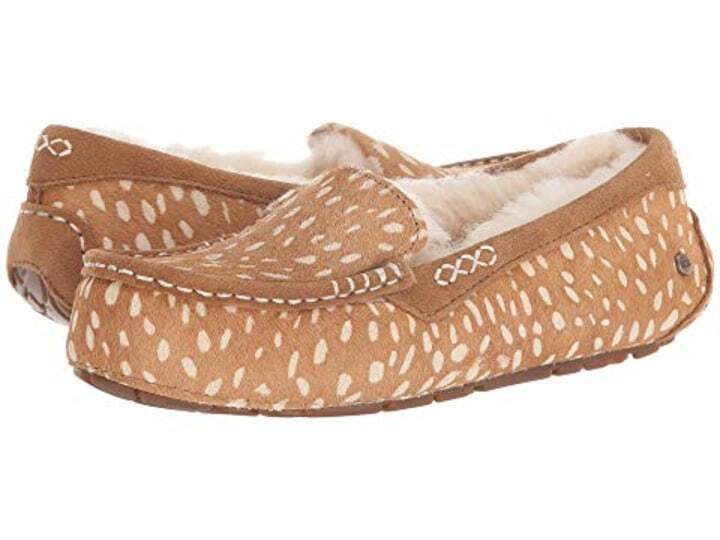 These cozy slippers are made from Calf hair with suede uppers featuring a trendy design. 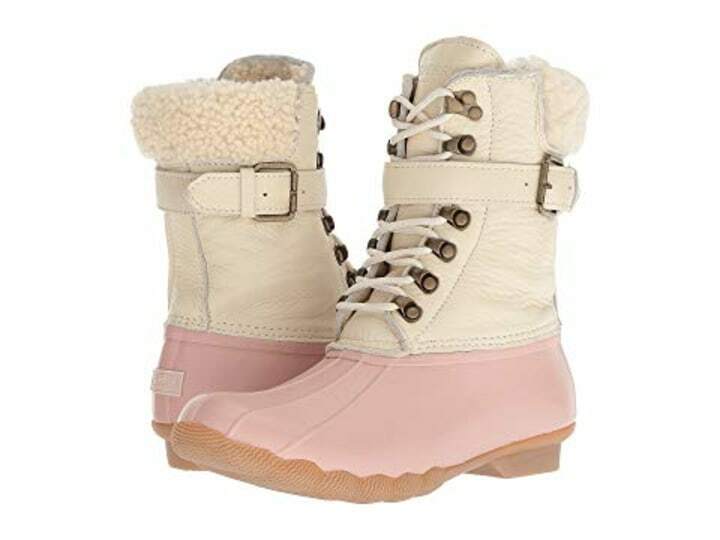 For anyone who still needs some boots for the winter, grab these fashionable light pink Sperry kicks. 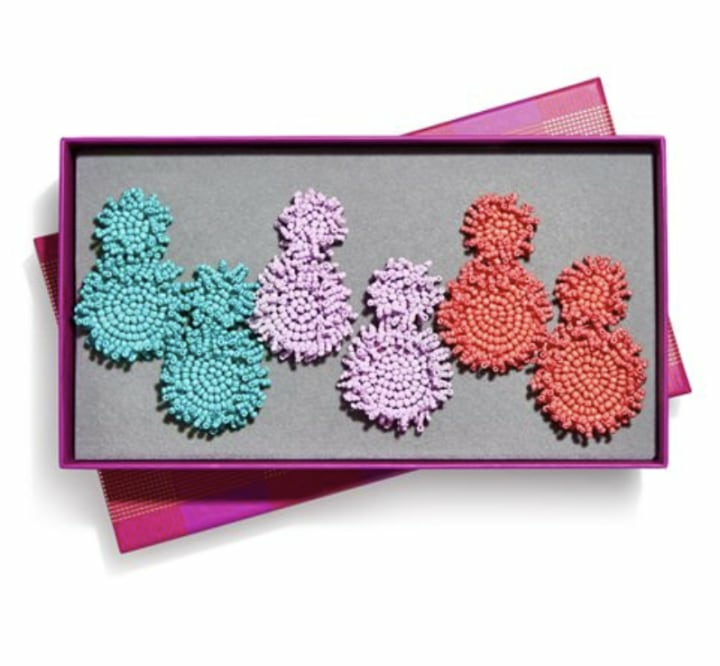 We love subscription services and digital gifts because all you have to do is print out the confirmation and place it in a card or attach it to something little like a tree ornament. 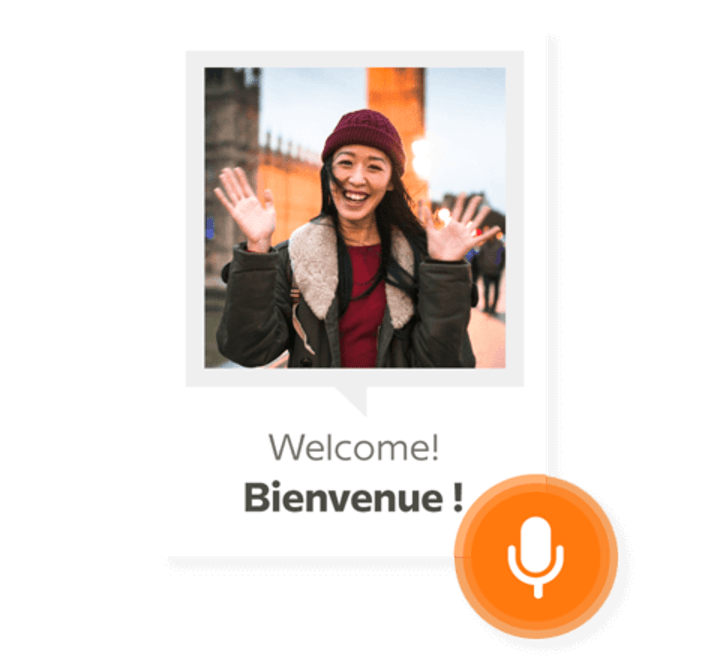 The gift of learning a new language is something you can give to anyone, and it's especially easy through Babbel. The giftee can choose from 14 languages including Swedish, French, Italian, Indonesian and more. 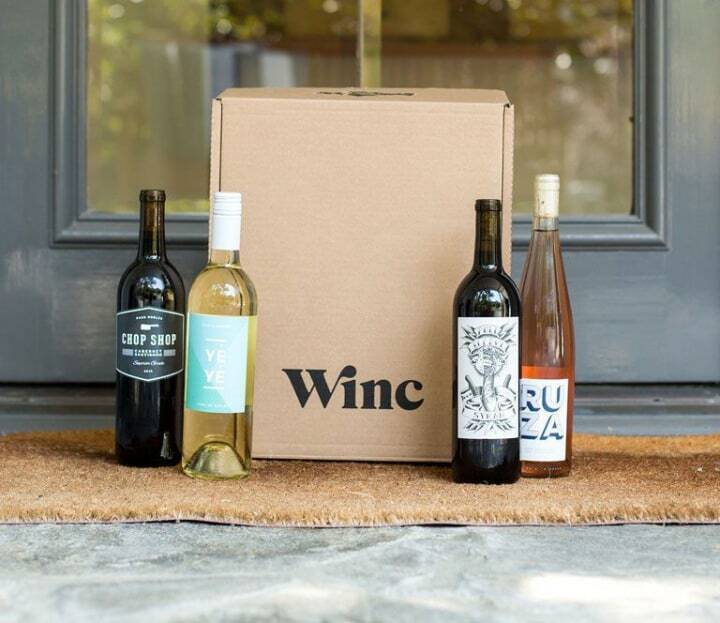 Winc is a wine club that delivers boxes of wine to your doorstep at an affordable price. You can choose to deliver a one-time tasting or go all out with a monthly subscription service. The monthly subscription delivers four bottles of wine to your door each month. You can pick your own bottles or let Winc choose for your. Shipping and the membership are both free — you just pay for the wines, which start at only $13. KiwiCo. delivers STEAM-based crates to kids of all ages. 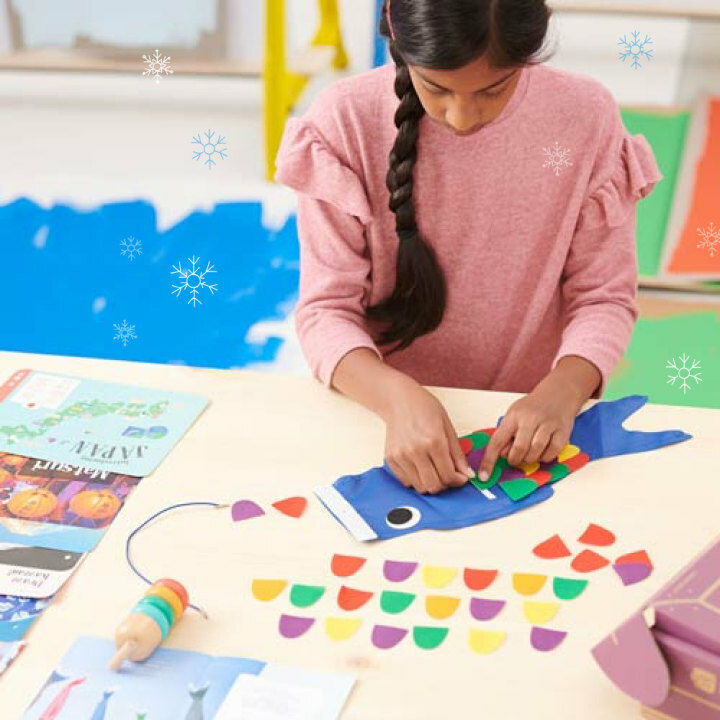 They want children to see themselves and scientists, artists, creators and makers and their goal is to make STEAM (science, tech, engineering, art and math) fun and engaging. Each crate is based on the child's age (you can explore your options here). You can chose to gift monthly (starting at $60 for three months) or full the full year (starting at $17 a month).